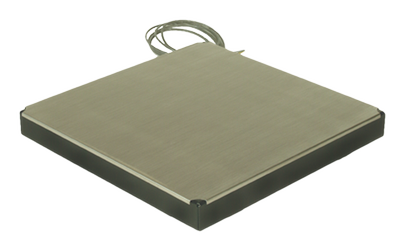 The stainless steel cover sits on top of the mild steel platform of the Delta Series scale. This provides a degree of protection when weighing damp or caustic products. Simply lift off the cover for easy cleaning.